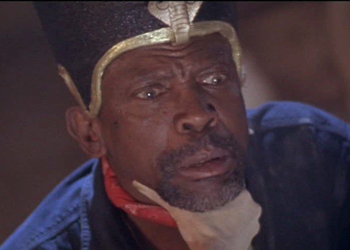 Louis Gossett, Jr. gets top billing (the only billing, really, as the only other recognizable actors are Richard “Family Feud” Karn and the maid from Different Strokes who replaced Mrs. Garrett), but he’s not really the hero so much as the crazy, rambling old guy who no one believes. He’s an African mummy lover — or “molo,” as I like to call them — who proves to be right about the existence of a mummy, but who’s driven insane by his passion to awaken the mummy with the help of a possessed white woman (Is there any other way?). Besides Gossett, two other black actors appear, Kelly Perine and Tico Wells, neither of whom dies (although the latter doesn’t die only because he plays a young Gossett in flashbacks, so really he’s saved only to die another day). Talky, boring, low-budget, yuck. Poor Lou. 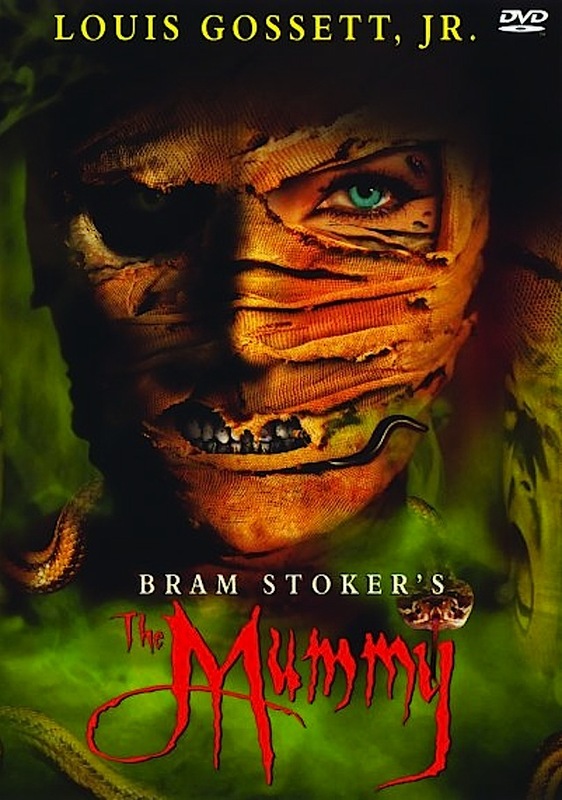 Some might call it the “Curse of Oscar”; I call it the “Curse of Iron Eagle.” Note: Schlock auteur David DeCoteau’s Ancient Evil: Scream of the Mummy was pawned off as a sequel at some point in time and space; I suppose this one looks good by comparison. Barely.